Happy Saturday, everyone! Welcome to today's biweekly edition of Bookish Deals where I (Julia) try to scour the Internet to find you guys an array of deals to fit in with any budget! This whole series looks like it is on sale for $2.99! This is the first in the Pennyroyal Green series, which Daisy and I have reviewed almost all of them...so they come highly recommended. Here is my review of this book. In 2008, the presidential election became blockbuster entertainment. Everyone was watching as the race for the White House unfolded like something from the realm of fiction. The meteoric rise and historic triumph of Barack Obama. The shocking fall of the House of Clinton--and the improbable resurrection of Hillary as Obama's partner and America's face to the world. The mercurial performance of John McCain and the mesmerizing emergence of Sarah Palin. But despite the wall-to-wall media coverage of this spellbinding drama, remarkably little of the real story behind the headlines has yet been told. 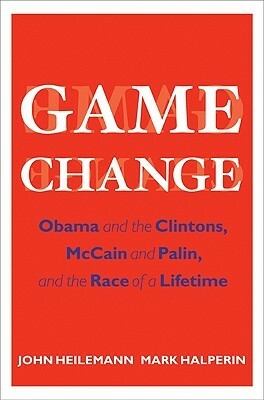 In "Game Change," John Heilemann and Mark Halperin, two of the country's leading political reporters, use their unrivaled access to pull back the curtain on the Obama, Clinton, McCain, and Palin campaigns. How did Obama convince himself that, despite the thinness of his resume, he could somehow beat the odds to become the nation's first African American president? How did the tumultuous relationship between the Clintons shape--and warp--Hillary's supposedly unstoppable bid? What was behind her husband's furious outbursts and devastating political miscalculations? Why did McCain make the novice governor of Alaska his running mate? And was Palin merely painfully out of her depth--or troubled in more serious ways? 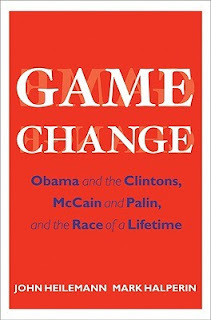 Based on hundreds of interviews with the people who lived the story, "Game Change" is a reportorial tour de force that reads like a fast-paced novel. Character driven and dialogue rich, replete with extravagantly detailed scenes, this is the occasionally shocking, often hilarious, ultimately definitive account of the campaign of a lifetime. I believe this is the book that the HBO special that won some Golden Globes. Miss Kate Daltry doesn't believe in fairy tales . . . or happily ever after. Forced by her stepmother to attend a ball, Kate meets a prince . . . and decides he's anything but charming. A clash of wits and wills ensues, but they both know their irresistible attraction will lead nowhere. 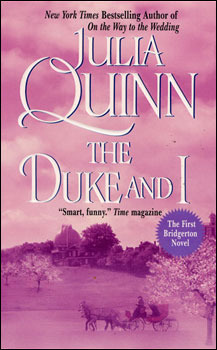 For Gabriel is promised to another woman—a princess whose hand in marriage will fulfill his ruthless ambitions. Gabriel likes his fiancée, which is a welcome turn of events, but he doesn't love her. Obviously, he should be wooing his bride-to-be, not the witty, impoverished beauty who refuses to fawn over him. Unless a prince throws away everything that makes him noble . . . Unless a dowry of an unruly heart trumps a fortune . . . I liked this one. It's inspired by Cinderella. I reviewed it back in 2010. Thanks for this...Beautiful Creatures and Perils of Pleaure were on my Amazon wish list! The prices must have just gone down today. Bought Beautiful Creatures and may now go get Perils. Also may get the Eloisa James since I loved When Beauty Tamed the Beast. And those spambots are sure getting annoying...! Darn the Eloisa James and Julie Ann Long are still regular price on Amazon Canada. Usually all the deals are the same. At least I got Beautful Creatures. Oh no! That really surprises me since they are discounted by the publisher. It's hard for me to tell if the deals are going on in different countries or not, but I am glad you got Beautiful Creatures. 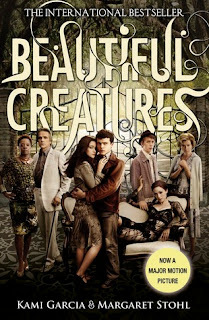 Oh man I just bought Beautiful Creatures at full price! This is a great idea though, love those bargain books! Bookish Deals (12): YAs Galore!